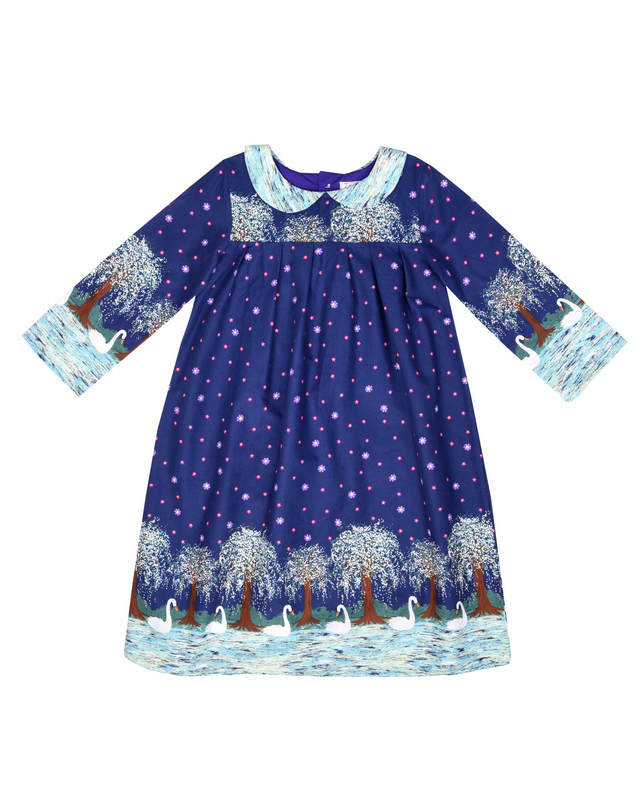 As a maker of children's clothes, quality is very very important to me. I use the best quality cottons and my own designs are printed on organic cotton. 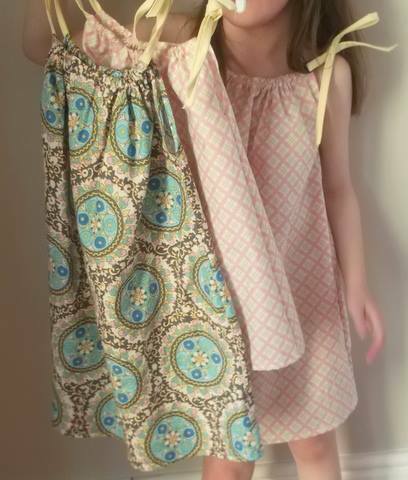 I make an ever increasing amount of my own children's clothes and I aim to make and design clothes that will last a bit longer. My sundress pattern this year was designed to be worn below the knee first year, and then at or above the knee after so the life is extended and the classic aline dress can be worn first as a dress and then as a tunic. Above are some of the first dresses I made for my daughter in summer 2013. There was a pale pink Tanya Whelan classic fabric and this gorgeous Amy Butler print. She got great wear out of the dress that summer and also the following one. But this year she shot up in height and the dress was nearly a top. She could have worn it as it was with jeans or leggings but instead I went for a simple transformation. I measured her first and then cut off the top part of the dress and made a skirt out of the longest piece. I then took little sections of the fabric and added introduced a second out of my fabric scrap pile to make a matching t-shirt. 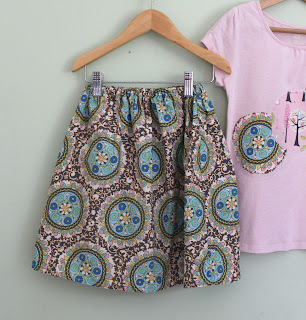 I used bondaweb to attach the circles of fabric and sewed around them. The new look! 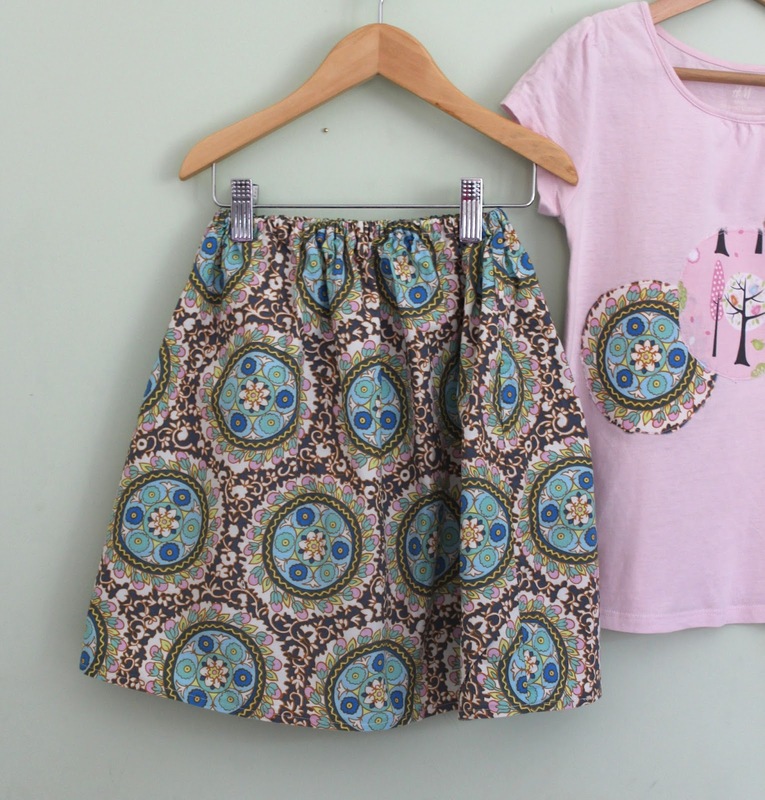 A simple skirt and t-shirt appliqué. Now she has an outfit that will be worn this year and hopefully the next. And the fabric is such excellent quality I have no doubt it will look as good as new! I'll be doing a lot more of this in the future.